SledTown ShowDown Round 6: The Finals! 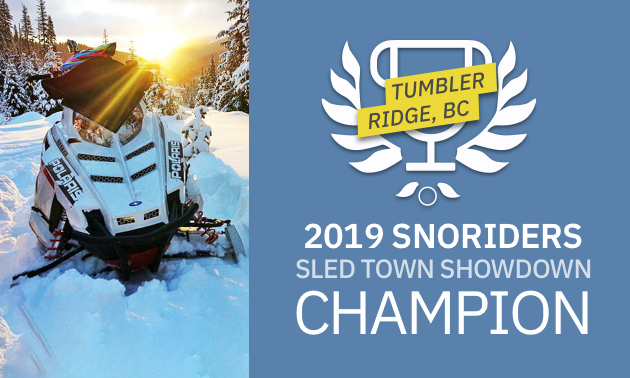 Congratulations to Tumbler Ridge, SnoRiders’ 2019 SledTown ShowDown Champion! Voters around Western Canada deemed Tumbler Ridge the most worthy destination to take their snowmobiles for a ride. In Round 6, the finals, Tumbler Ridge galvanized Western Canada to amass 51,553 votes, to outlast Flin Flon, Manitoba, 51,296 votes in an epic final showdown! Keep up-to-date with all future SledTown ShowDown poll results and other snowmobile news. Sign up to our free SnoRiders eNewsletter today.